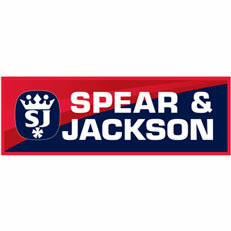 The Spear & Jackson name is a world famous brand with real heritage and a very proud tradition. We have been combining traditional craftsmanship and leading edge technology for over 250 years. With a wide variety of products you can be sure of always keeping your customers satisfied, and choosing quality doesn\'t mean having to dig too deep. There are popular ranges offering excellent performance and great value. There are classics which are a great long term investment - the kind of tools handed down from generation to generation, guaranteed for up to 25 years of hard work and certain to please the most discerning professional. Our inventive and innovation has helped shape great gardens through the centuries.